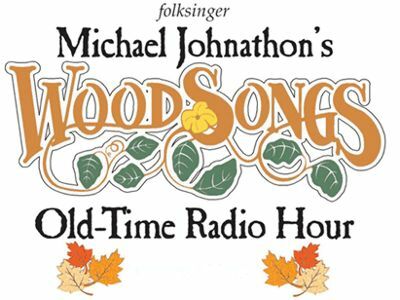 Join folksinger and front porch banjo picker Michael Johnathon this Monday on WoodSongs as they celebrate the banjo with Bill Evans and Kayla Bender. WoodSongs is a worldwide multi-media celebration of grassroots, Americana music. Get ready to explore the beautiful world of folk, bluegrass, songwriting, new artists, literature, worldwide radio, television and concerts. Bill Evans is well-known within the bluegrass music community not only as a musician, but also as a teacher, writer and scholar. Bill will be bringing his solo show The Banjo in America to the WoodSongs Stage. Tracing the banjo from its West African roots to the New World, Evans performs musical examples from the 1700's to the present day on a variety of vintage instruments, explaining how the banjo has been at the intersection of African and Anglo-American musical and cultural exchange for over 250 years. Bill's new CD In Good Company features an all-star cast of 26 musicians, including the Infamous Stringdusters, Tim O'Brien, Joy Kills Sorrow, Darol Anger, Mike Marshall, David Grier, Rob Ickes, Stuart Duncan and many more. As an internationally recognized five-string banjo life force, Evans is a performer, teacher, writer and composer. He brings a deep knowledge, intense virtuosity and contagious passion to all things banjo, with thousands of music fans and banjo students from all over the world in a music career that now spans over thirty-five years. Bill’s banjo artistry is best experienced in live performance and on his recordings Native and Fine (Rounder 0295), Bill Evans Plays Banjo (Native and Fine 906-3) and …let’s do something (Native and Fine 906-8) with Megan Lynch. Bill successfully bridges traditional and contemporary sounds and playing techniques, creating a new music that is firmly within the bluegrass tradition but draws upon a broad knowledge of classical, jazz and world music, drawing upon his experiences as a graduate student in Music at the University of California, Berkeley. Visit BillEvansBanjo.com for more about Bill, his music and where he will be performing. Kayla Bender is an amazing 12 year old banjo picker from Oklahoma. She has placed in several banjo competions and showcased at both IBMA's Kids on Bluegrass and Walnut Valley Festiival this year. Watch her tear it up on "Foggy Mountain Breakdown" with her banjo teacher Rob.